Company Gift? Customize Smartphone Chargers with Logo! Year-end parties are just around the corner. What better way to foster teamwork and loyalty than gifting your employees and clients with a company gift that they could use all-year round? These promotional phone chargers might be what your brand needs. Phone chargers make a good corporate gifts for clients and employees because they are in-demand and practical. Recipients will surely appreciate the the thought. It is a wireless charger with a USB plug for non Qi-enabled smartphones. Wireless means hassle-free charging, something your customers will really love. Portable and easy to carry around. Smartphone users can recharge their phones anytime. It comes in different colors and designs. Keep Your Audience In Mind: Always think in terms of what your recipients would like to receive. You should also consider the kind of product you are selling. You may want to use sporty designs for sports related products. Or use some classy and high end designs to show professionalism. Want more design ideas? Get in touch with our Mindsparkz team for high quality designs. Add Value: As a business owner, you want to make sure that your marketing products add value to your brand. Aside from using them as a company gift, you can also use them as contest giveaways or a customer incentive. This could drive repeat purchases as people love the feeling that comes with participating in contests and earning points. Use High Quality Packaging: Great Packaging has a positive affect on your products. This is because professionally-designed packaging make your product look more reliable and high quality. Work with a Professional: Electronic products require stringent quality check to ensure their safety and reliability. Moreover, customers always look for CE and FCC markings. That being said, we recommend working with a reputable wireless charger manufacturer who can ensure that your electronic merchandise comply with international safety standards. at ODM, we have a team that specializes in factory audits and quality control, why not speak with us? When it comes to flexibility and timeliness, we believe that a smartphone charger is a good choice for boosting your brand presence. High-quality and truly practical, this kind of company gift will definitely not go to waste. 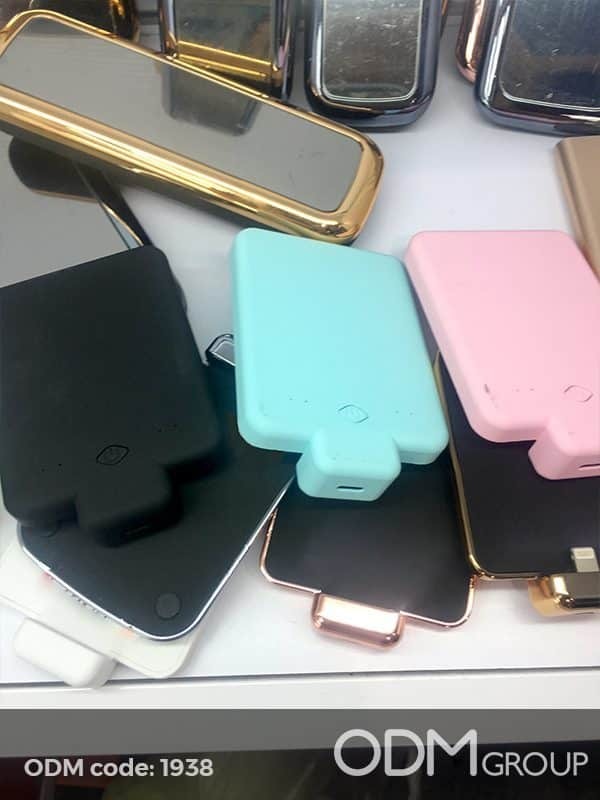 But if you want something that smartphone users will love but not too expensive to produce, a promotional power bank can be a good choice too. This can be used as gift with purchase for any kinds of promotions. Like this idea? If you have questions about the creative and manufacturing process, send us an email today! Product code for promotional phone chargers is 1938. Below, we rounded up some of our favorite blogs. Check them out! Docking station for multiple gadgets. This is a wonderful idea for the tech industry. This promotional charging dock design eliminates messy cables. Brandable and great for bars, hotels and restaurants promotions.